Leading Manufacturer of carbon steel pipe for sanitary use from Mumbai. 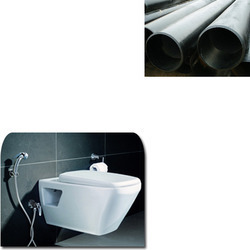 Known for our suitable products, we have come with the Carbon Steel Pipe for Sanitary Use. These carbon steel pipes are frequently used for a number of sanitary applications. By procuring the quality assured carbon steel from reliable vendors, the offered pipes are manufactured using the latest technology machines for manufacturing. Also, these pipes are known for their accurate dimensions and sturdy construction. Looking for Carbon Steel Pipe for Sanitary Use ?